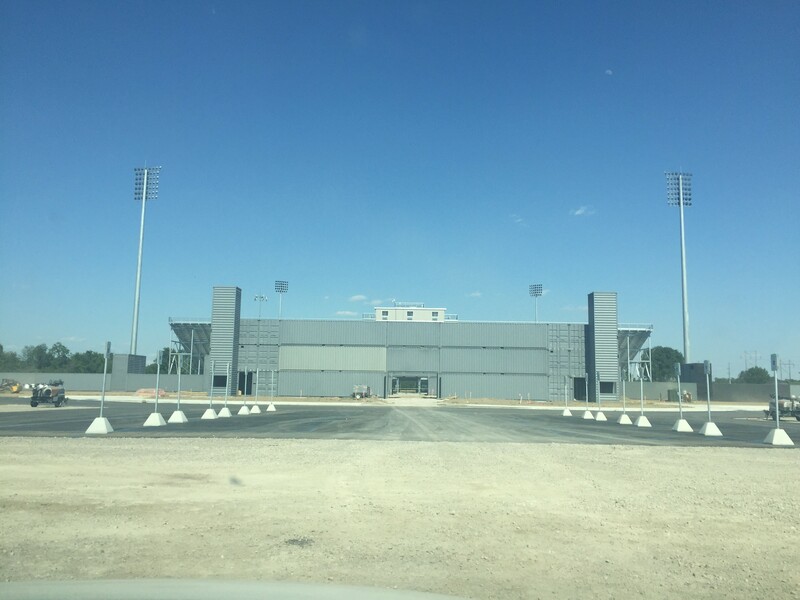 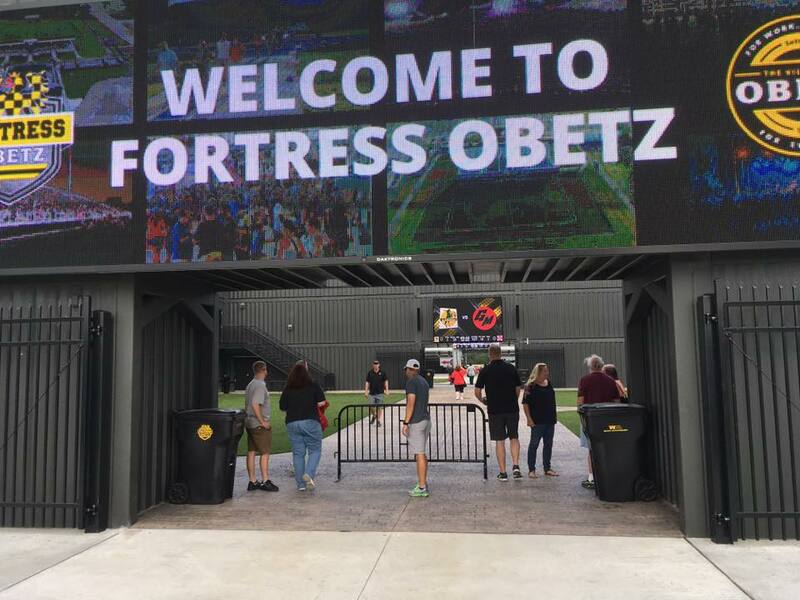 Fortress Obetz is a 6,500 seat stadium located at the former site of Columbus Motor Speedway in Obetz, Ohio. 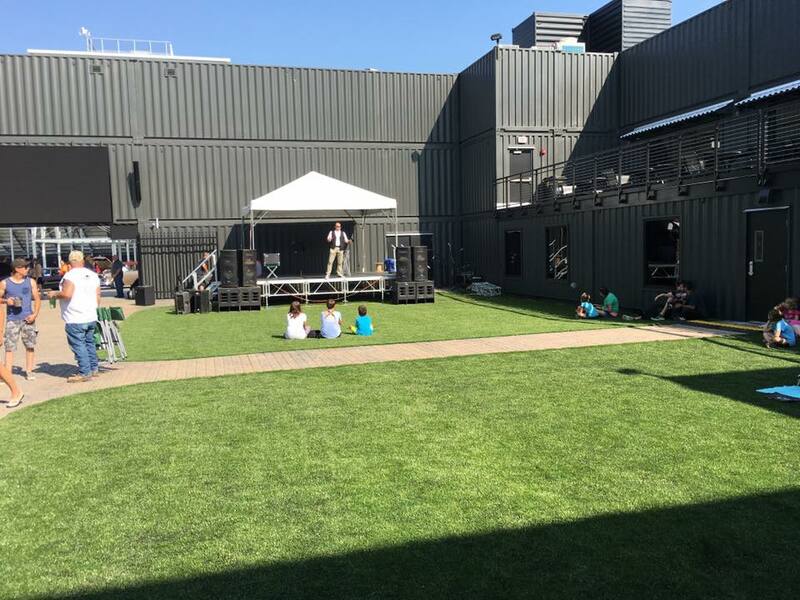 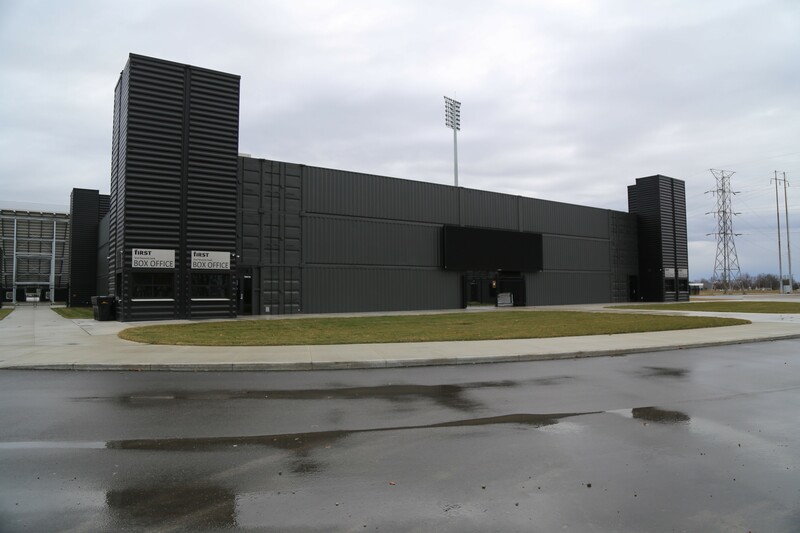 It is planned to be community asset to host many events including; farmers’ markets, trade shows, sporting events, concerts, and other community activities. 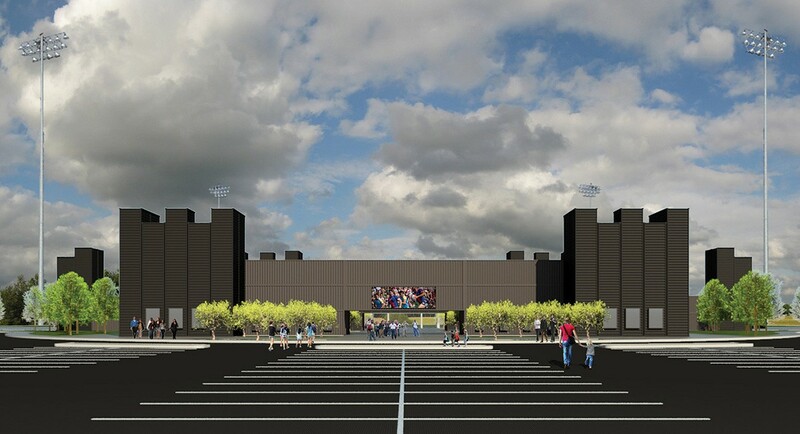 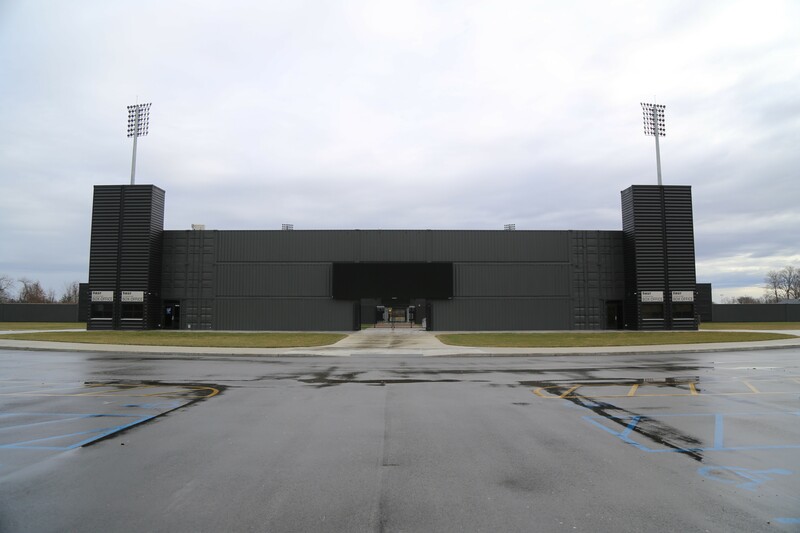 The stadium will of course be the new home of the Major League Lacrosse team, Ohio Machine. 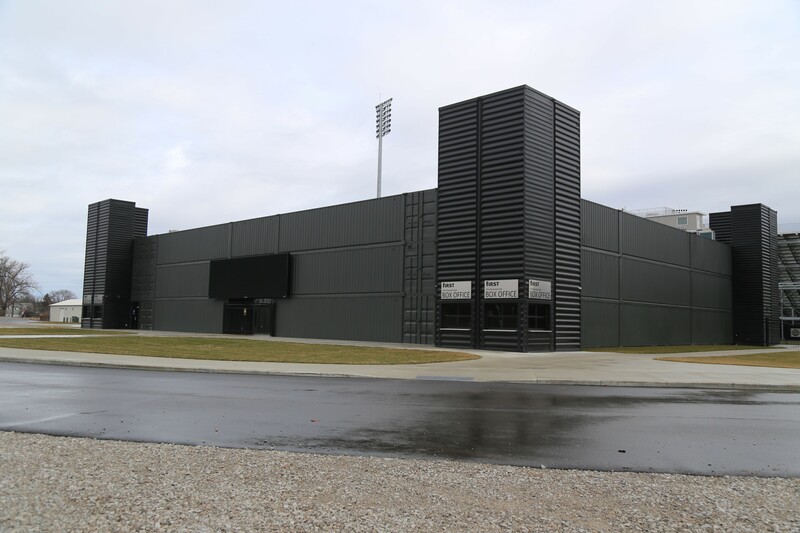 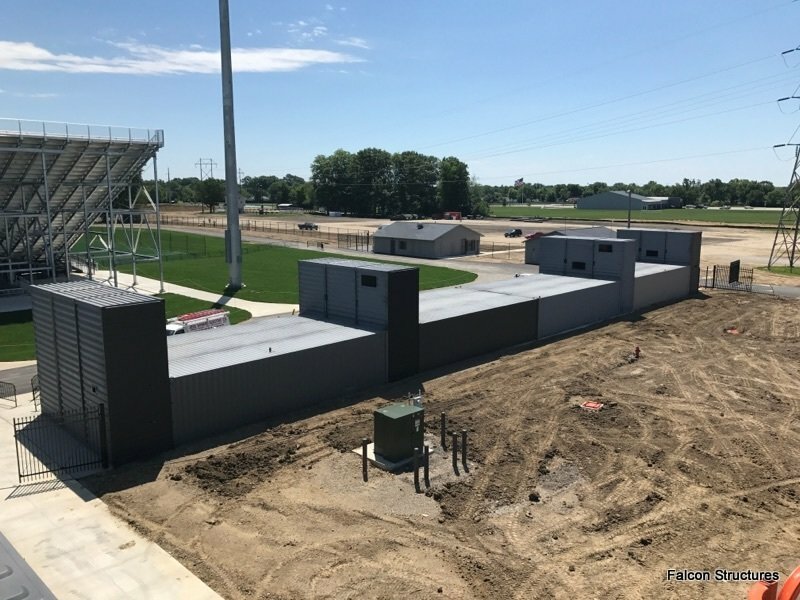 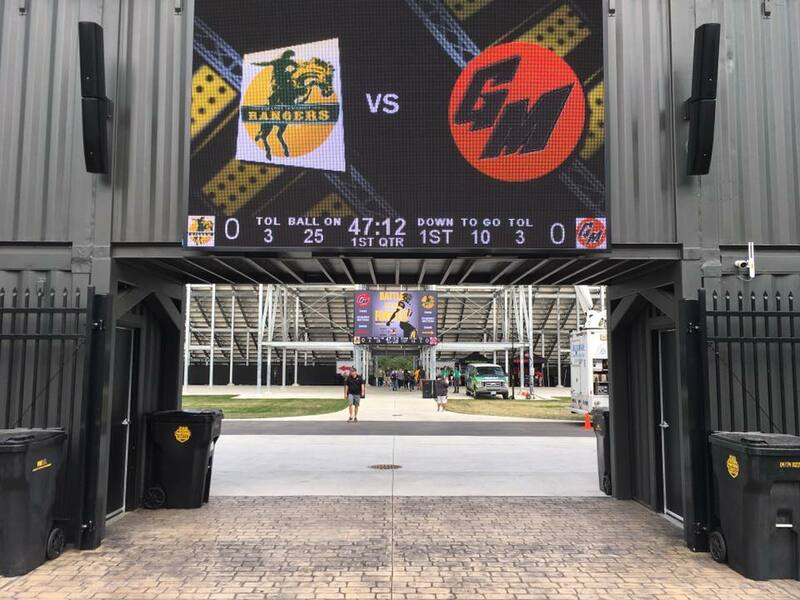 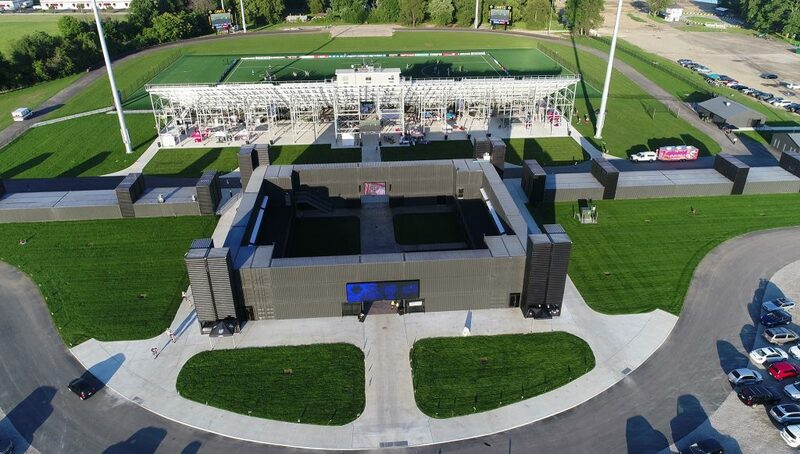 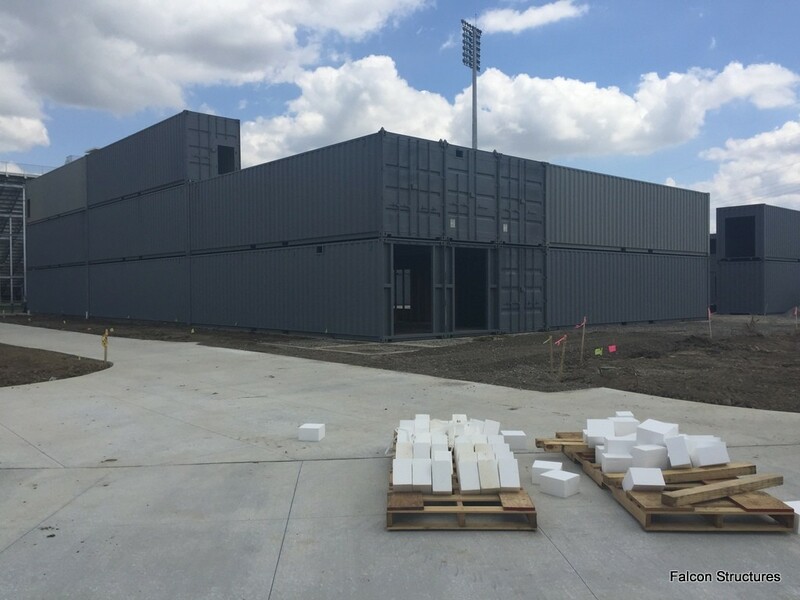 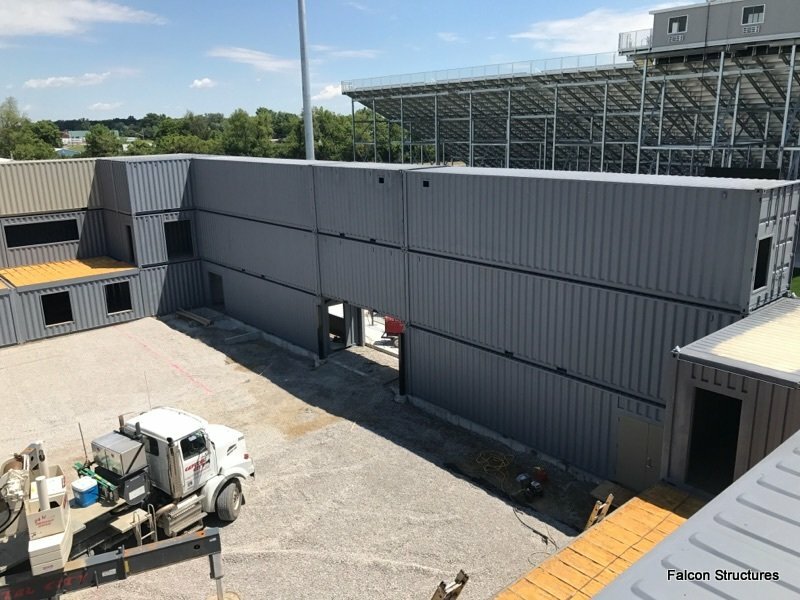 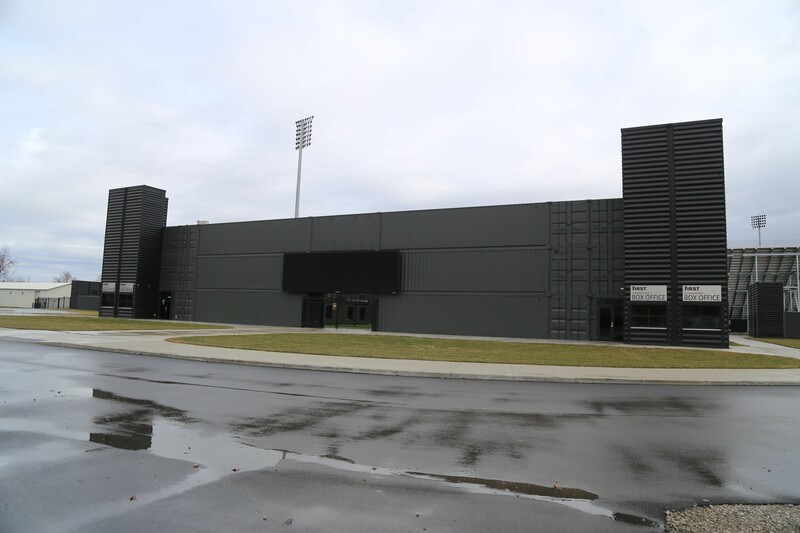 Fortress Obetz Stadium is one of the most amazing projects PSE has ever been a part of. 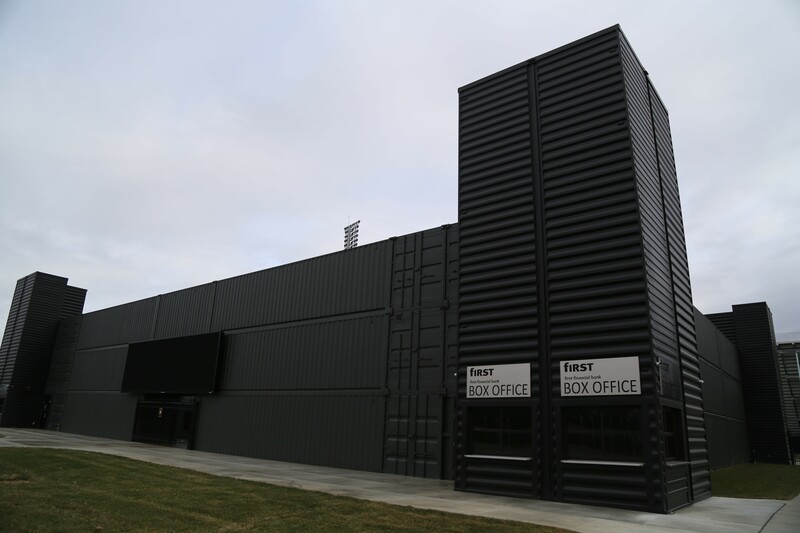 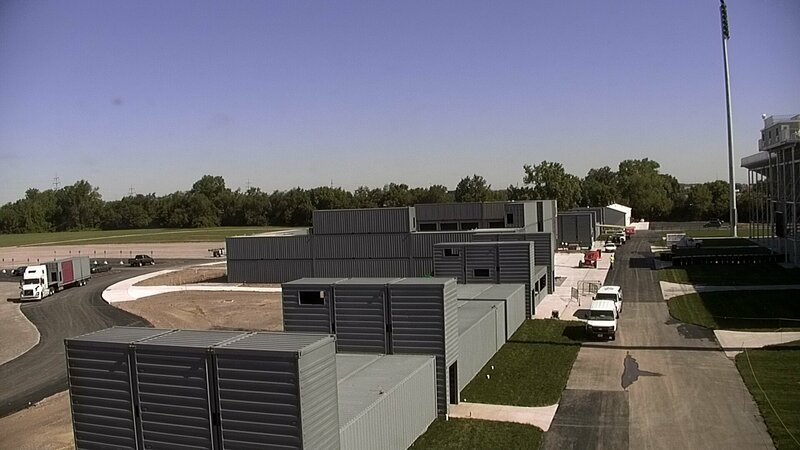 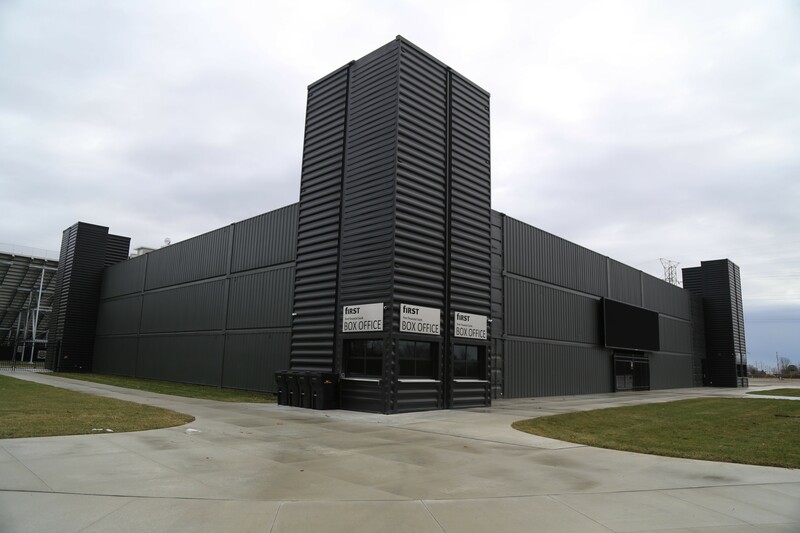 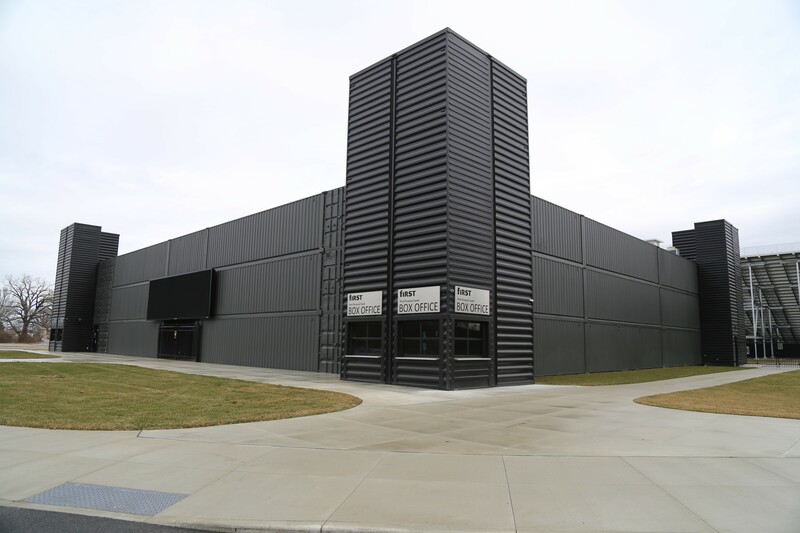 This large, one-of-a-kind structure is constructed completely out of shipping/cargo containers. 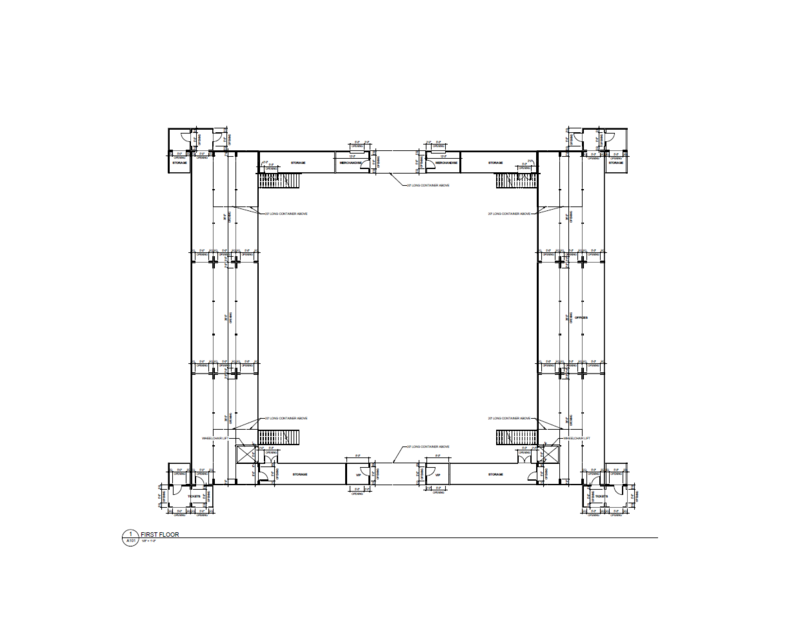 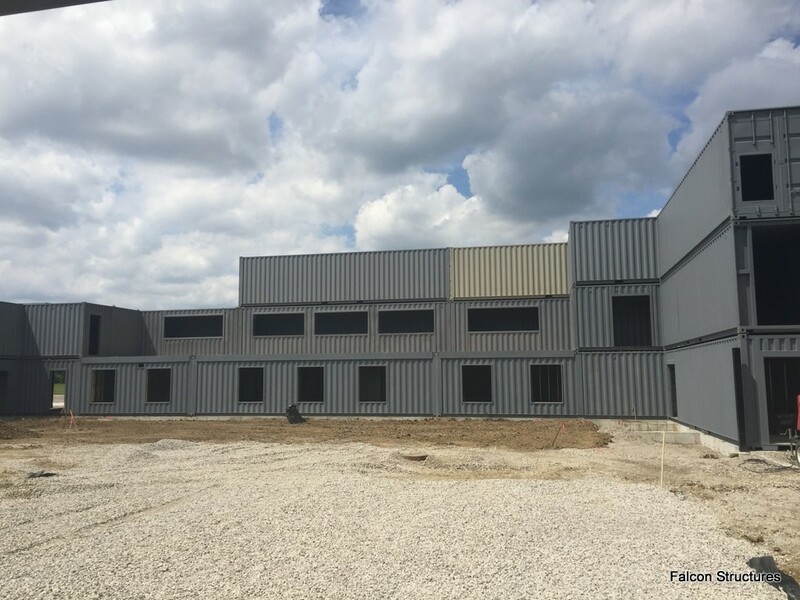 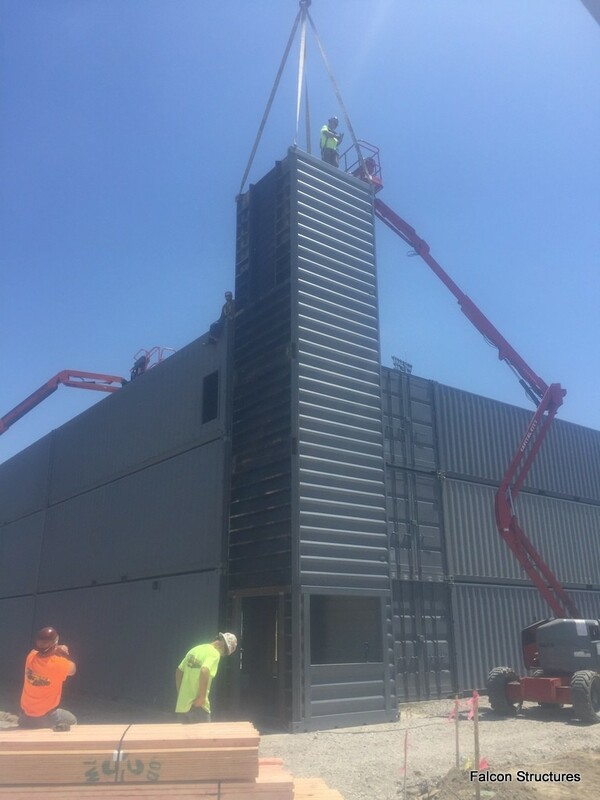 It is one of the largest shipping/cargo container construction projects in the United States. 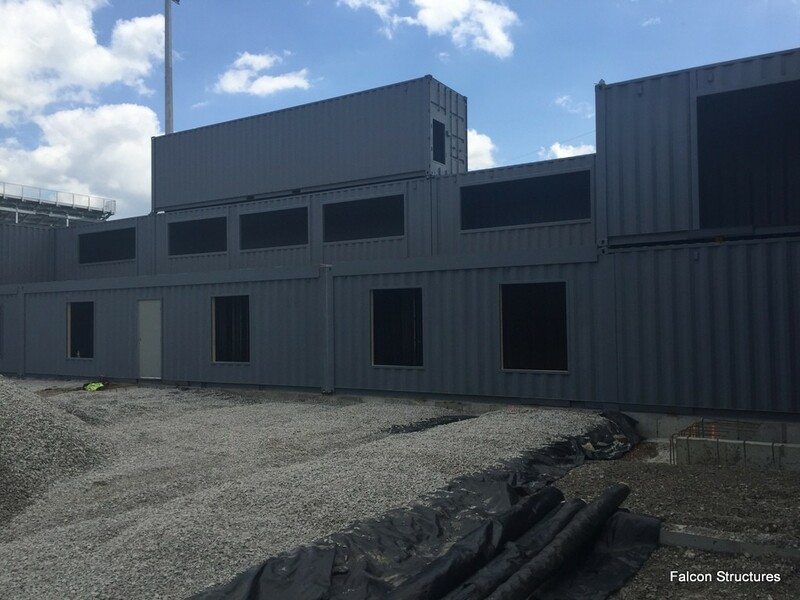 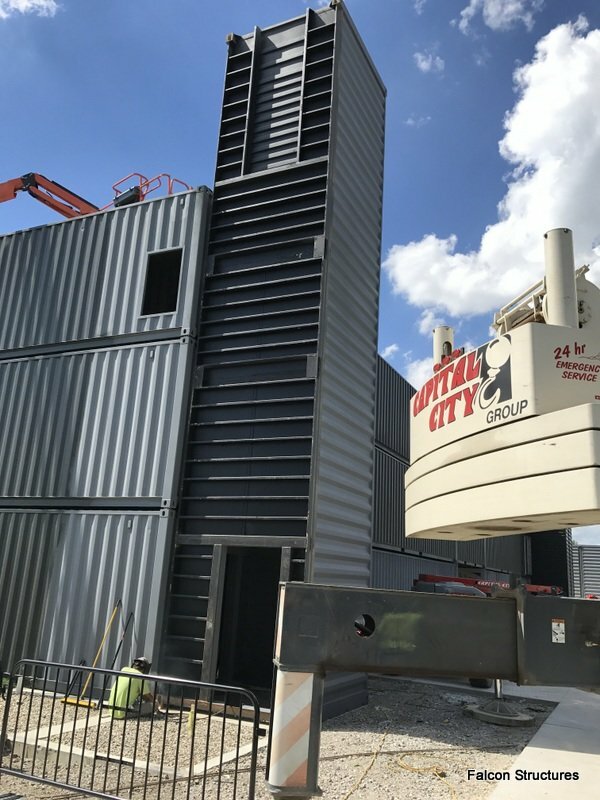 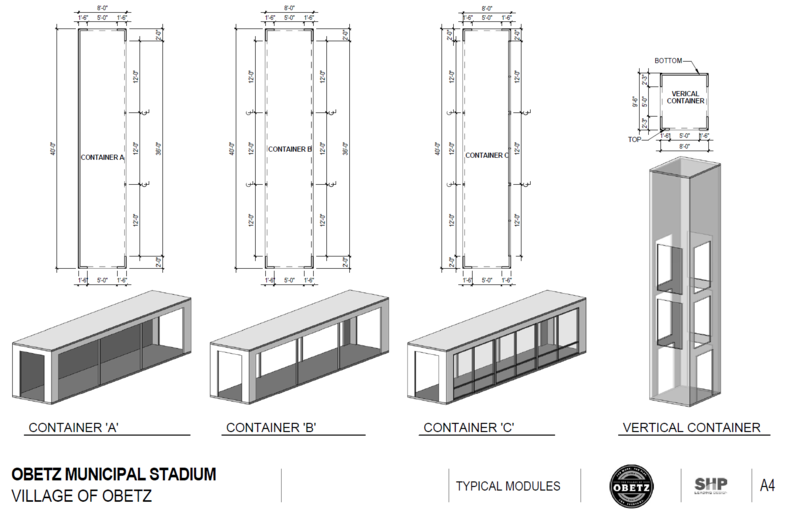 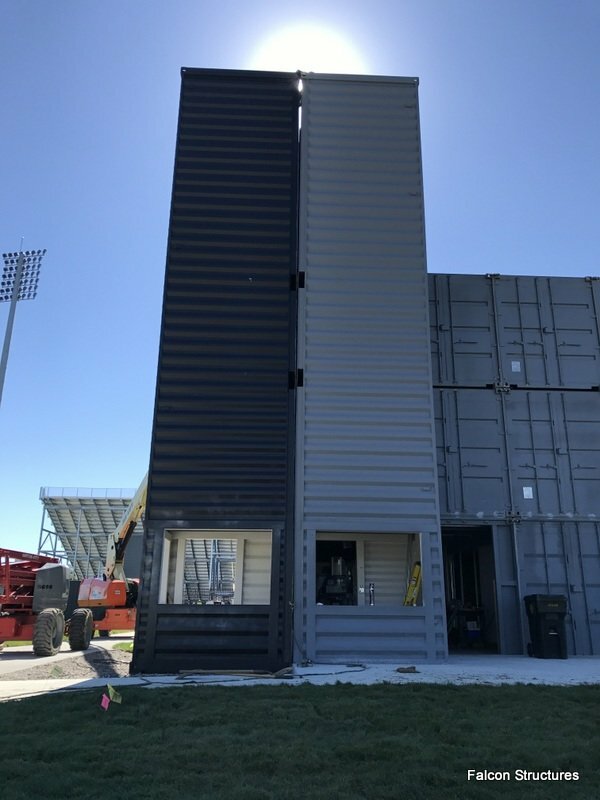 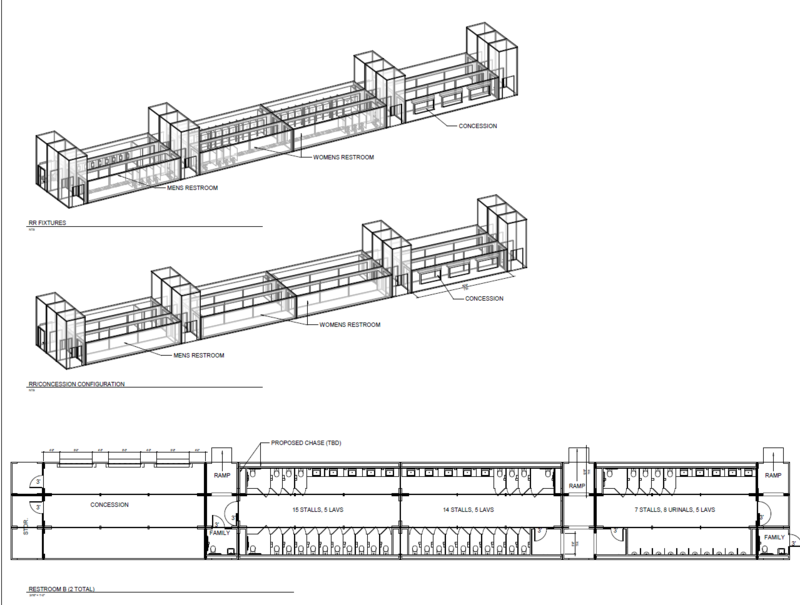 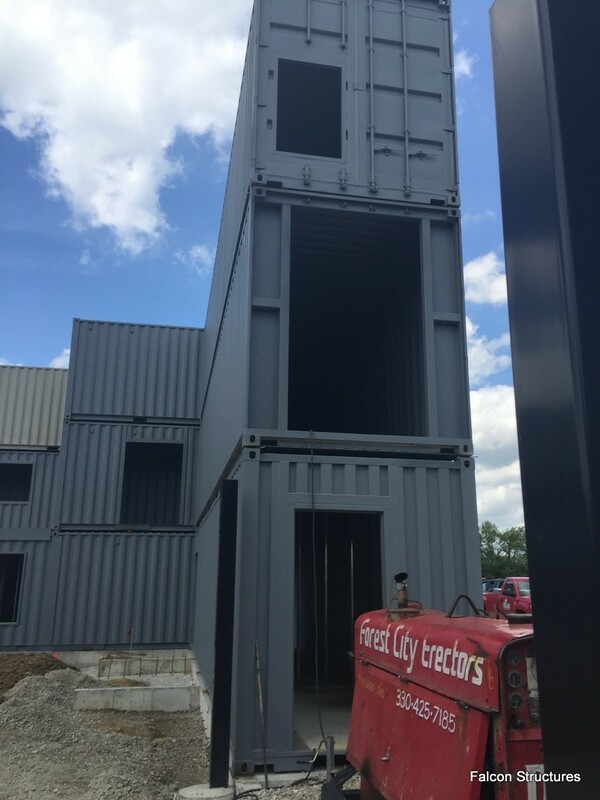 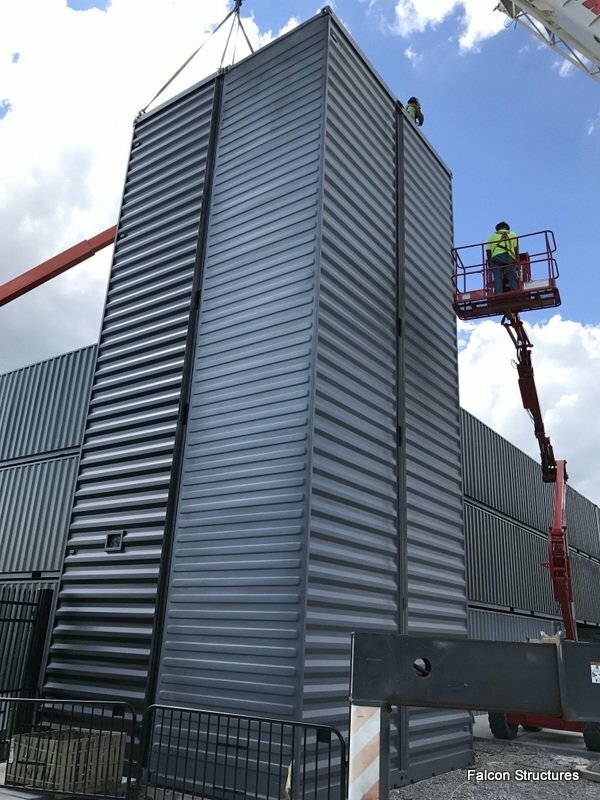 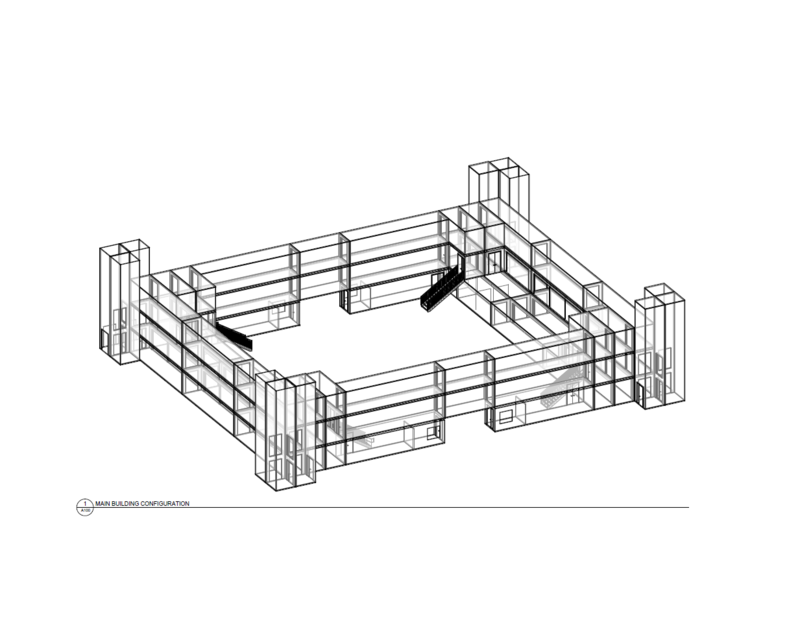 Incorporating over 100 containers, each section of this structure has great efficiency and design to reduce unused space. 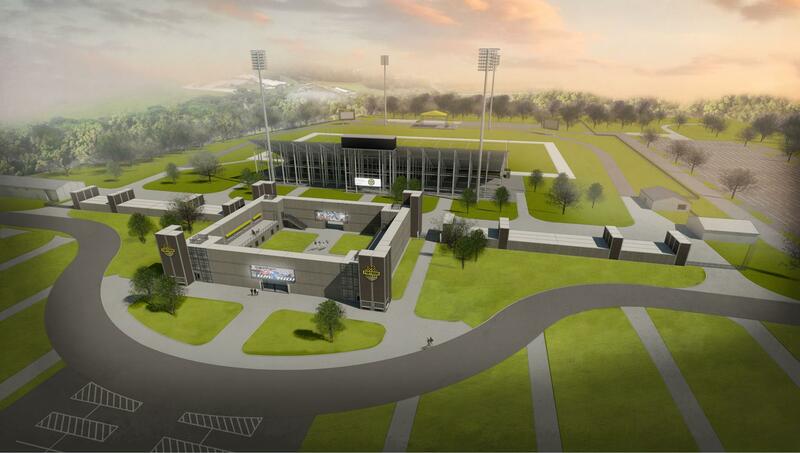 As you can see in the 3D renderings, there will be video boards, concessions, bathrooms and ticket sales, all incorporated into the main structure.